Even though singer/producer/DJ Anna Cavazos has recently made the big move to LA from Berlin, you’d never know it by listening to her debut solo EP Around. 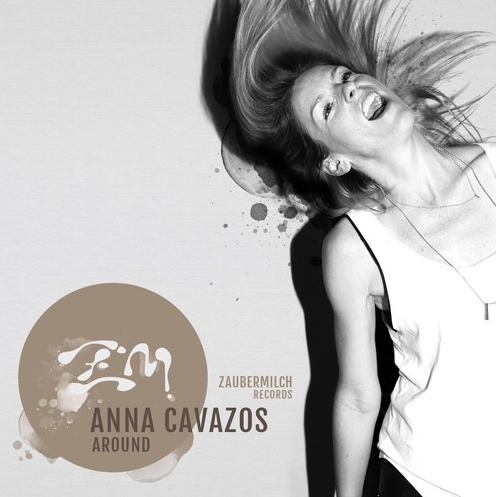 Released earlier this summer on Zaubermilch Records, Around is a huge departure from Cavazos’s previous work, capitalizing on the musical influences she picked up during her time in Germany’s techno-loving hauptstadt. This EP fits nicely into the tech house repertoire, while still sprinkled with touches of Cavazos’s soul and R&B roots. If you’re eager to hear more from her, Cavazos recently made an Exclusive Mixtape with YouList, as well as a DJ show for Reboot FM. She’s also just released two new tracks, ‘Just Dancing‘ on Double Cheese Records, and the vocal house tune ‘With My Love’, that includes remixes from Aki Bergen, Chris Luzz and more. And lastly, coming up is a co-production with Berlin-based Alley Oop and a remix by NYC legend, Eli Escobar (Firehouse Records) out in October on Yes Yes UK. Book Anna Cavazos for DJ sets worldwide HERE.